Wells Fargo & Company (NYSE: WFC) is a nationwide, diversified, community-based financial services company with $1.4 trillion in assets. Founded in 1852 and headquartered in San Francisco, Wells Fargo provides banking, insurance, investments, mortgage, and consumer and commercial finance through more than 9,000 stores, 12,000 ATMs, and the Internet (wellsfargo.com), and has offices in more than 35 countries to support the bank’s customers who conduct business in the global economy. With more than 270,000 team members, Wells Fargo serves one in three households in the United States. Wells Fargo & Company was ranked No. 25 on Fortune’s 2013 rankings of America’s largest corporations. Wells Fargo’s vision is to satisfy all our customers’ financial needs and help them succeed financially. 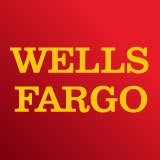 Read more about Wells Fargo on the company's blog.